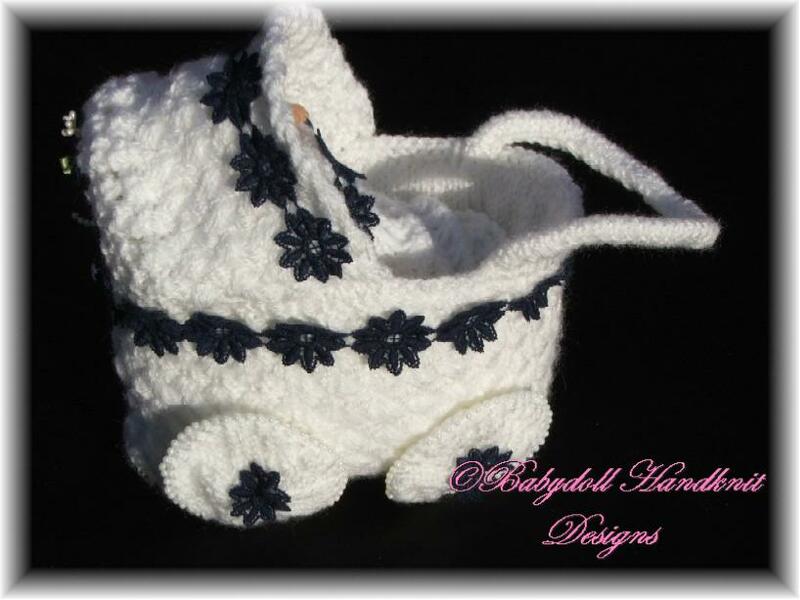 A gorgeous cute little pram knitted in basketweave stitch to provide some rigidity complete with wheels and handle! 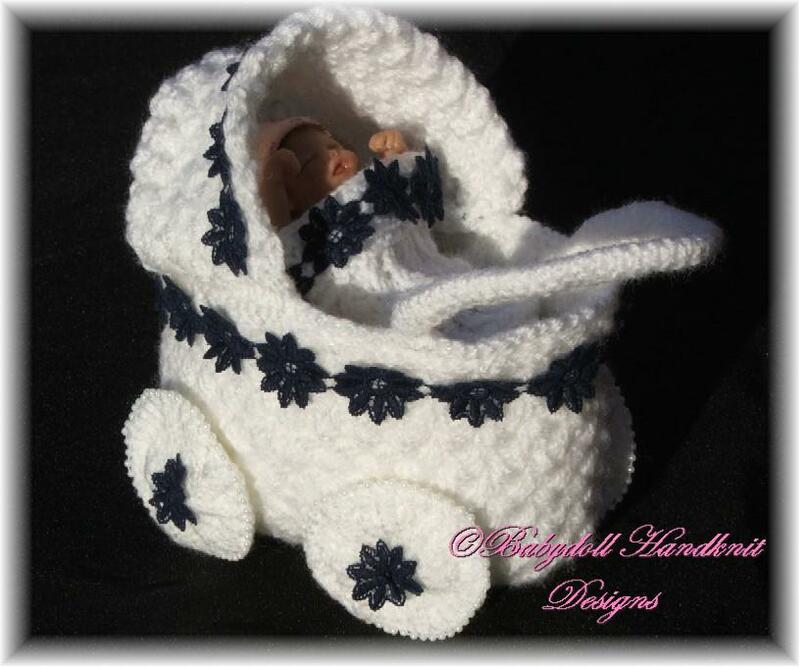 Finished off with a little blanket and pillow - perfect for displaying small dolls and sculpts, also an ideal new baby gift with a tiny teddy in it. Pram knitted in DK, blanket and pillow in 4-ply.